I just put up a banner for my blog. Do you rike it? Let me give a brief introduction to the father of Chinese baseball, Mr. Liang Fu Chu 梁扶初. Liang (1891-1968), who was born in Xiangshan(Zhongshan), Guangdong Province, was considered a major contributor in helping develop baseball in China. He fell in love with baseball when he attended and played first base at Meiji University in Japan. He graduated in 1932 and returned to China with one thing in mind: promote the living hell out of baseball. He would go on to Shanghai and form the Panda Baseball Club. 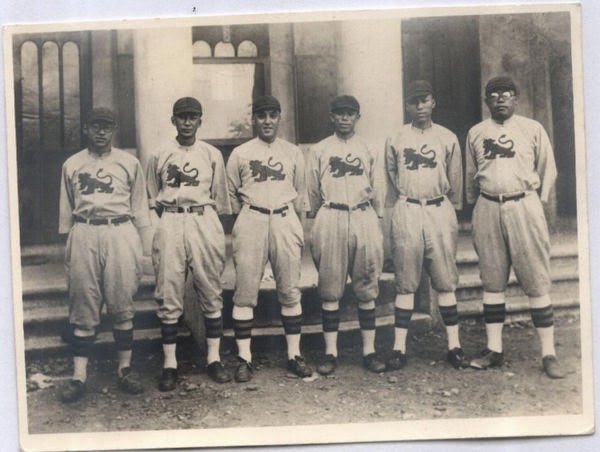 In 1934, The U.S. all-star team, which was on tour in Japan, made a stop in Shanghai and faced Liang’s Panda club. After the Chinese Civil War, Liang did not stop continuing to promote baseball. 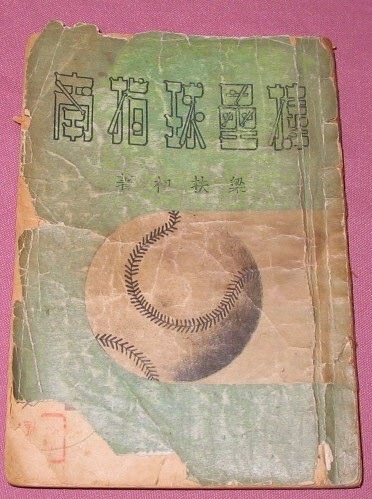 He published his own baseball guide in 1949 called “棒壘球指南”. Baseball was thriving in China and became a popular sport for the People’s Liberation Army. Sadly, it did not last. Baseball was banned during the Cultural Revolution and it did not return until mid-1970s. Liang passed away in 1968, but his four sons continued their father’s passion in promoting baseball in China. With that said, I was inspired to write about Liang because of the National Youth and Junior Baseball Panda Cup being played in Zhongshan right now. Baseball has developed quite a following in this city. In 2006, baseball programs were opened in a local high school (东升镇高级中学) and has become quite popular for the students. Recently, three young players from Panda baseball and softball clubs had been chosen to attend MLB’s development center and will receive a six year scholarship in the program. I believe that knowing history is an important step in cultivating baseball in China. That way people can connect and develop a culture for the ball game. Coaches and managers should inspire players and say “Hey, we aren’t just playing an American pastime. We’re playing our game and we can beat Taiwan!” I’m very optimistic that MLB will find a legitimate prospect one day, but I’m more enthusiastic about amateur clubs in China trying to recruit players just like what Liang (and other contributors that I didn't mention) did back in days. Anyway, thanks for reading. Baseball rules! News about Panda Cup and the city.